Choosing the right professional to work with for your New Hartford roofing contractor is an important decision to make. The problem is that not enough homeowners realize the severity of making just the right choice for this. However, smart and savvy homeowners know that the name to count on is Brian O'Donnell Quality Home Improvements. 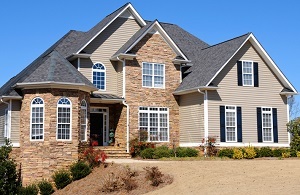 Since 1978, we have been providing the best in quality for residential roofing services in New Hartford, CT. This includes making it a point to offer a variety of essential services too. There are so many things that you will need to take care of for your roofing, so make it a point to work with a reputable and established roofing contractor with the credentials needed to provide excellence in work and results. Chimney, Vent and Wall Flashing: We can repair or replace the chimney and wall flashsings and counter-flashings. We can also waterproof the sealant of your chimney in order to prevent saturation. This includes installing or repairing bath and kitchen vent flashings. Leak Diagnosis & Repair – We use thermal imaging cameras to quickly and accurately diagnose even the most elusive leaks, getting right to the entry point. This enables us to provide the best in repair work. Ventilation Assessment – If you have mold in your attic, Brian can use his decades of expertise to quickly assess whether or not you have adequate ventilation. We can provide you with solutions in order to get air flowing as it should though your home. We can even handle any and all unique situations. This is what we do and we take great pride in this line of work. This enables us to provide the finest in customer service as well. Because we care it shows and enables us to provide the finest in the overall customer experience. When it comes to any aspect of your home, quality should matter. However when it comes to the most important aspect of your home, your roofing, there is no excuse to settle for inferior workmanship. Make sure any so-called pro you consider working with has the credentials needed to take care of this aspect of your home. Why would you take a gamble when it comes to the service you get for the most important aspect of your home? Let Brian and our crew of roofers in New Hartford provide you with the exceptional service you need to keep your roof in tip top shape. We look forward to working with you and providing you with the service you need. 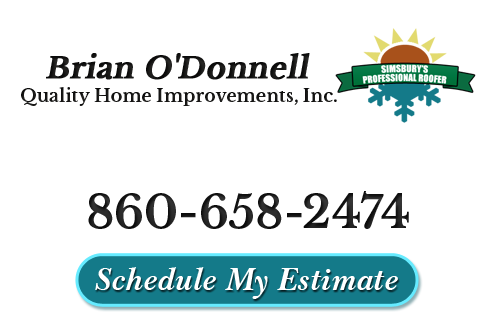 The Brian O'Donnell Quality Home Improvements name has become synonymous with superior quality for not just roofs, but also skylights in New Hartford, CT. Your skylight doesn't have to be a leak trap – it can actually be a source of enjoyment. So if you are in need of installation, repairs, replacement or removal, give us a call. For all of your roof related service needs, call on our team of expert New Hartford roofing contractors. We believe in going above and beyond when it comes to taking care of the needs of our clients. So get in touch with us right now and find out more about what we can do for you. "Brian, nice job done. We were especially impressed with your crew – very polite, conscientious and hardworking." "I would like to commend your crew for a job well done on our roof. ‘Quality Home Improvements’ is a true trademark of your work crew and the product you deliver. Job Well Done!" If you are looking for a professional New Hartford roofing contractor then please call 860-658-2474 or complete our online request form.